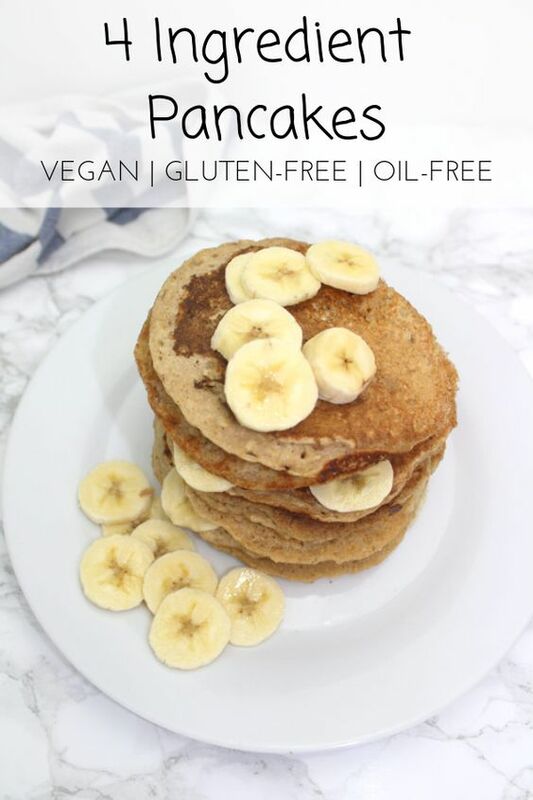 Vegan Banana Pancakes (Banana Optional), easy, fluffy and healthy! Mix the oat flour and baking powder together in a bowl. Add the milk and banana and mix together to make a thick batter. Fry the pancakes, 1/4 cup at a time, over medium-low heat. Bubbles will form on the surface when it's time to flip. Stack the pancakes and serve with maple syrup and sliced banana. For these vegan pancakes the banana is purely optional. Mix and match your favourite toppings! Looking for more breakfast inspiration? Try this Healthy Vegan Banana Granola by the lovely Sarah at SarahsVeganGuide.